LAWN ROLLER 220 HAND PULL Rentals Ft. Collins CO, Where to Rent LAWN ROLLER 220 HAND PULL in Ft. Collins, Wellington, Greeley, LaPorte, Loveland, Windsor CO and all of Northern Colorado. 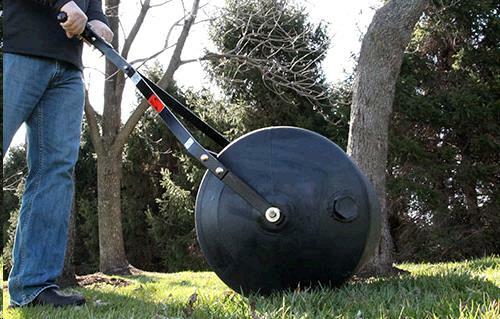 28 gallon capacity heavy-duty roller is light enough to push and heavy when full of water. Manual by hand or tow behind lawn roller. push or pull. 18" diameter, 24" wide, empty weight 51 lbs, full of water weight 220 lbs. * Please call us for any questions on our lawn roller 220 hand pull rentals in Fort Collins, Wellington, Greeley, LaPorte, Loveland, Windsor CO and all of Northern Colorado.